we are a manufacture of wooden ashoka pillar that are using the expert approved certified raw material. 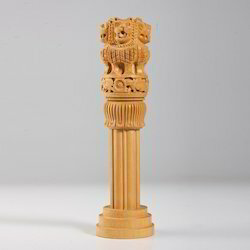 Being a practiced company, we are offering the paramount quality assortment of wooden Ashoka Pilar. Our company has set a standard in the field of manufacturing, trading, wholesaling and supplying apex quality Ashok Pillar.